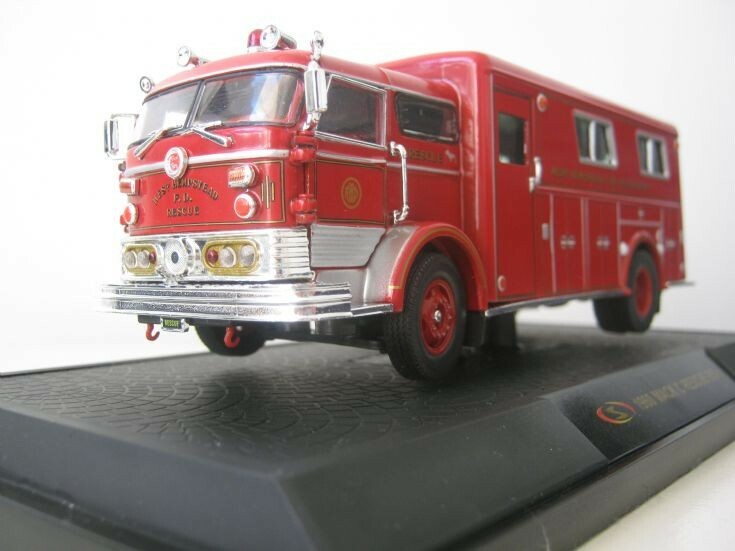 Transport Models - 1:50 scale 1960 Mack C walk in rescue. 1:50 scale 1960 Mack C walk in rescue. photo taken on the 2nd of May 2013 in Melbourne Victoria Australia. This is a Yatming model and is also shown in picture #85 on this site. Added by Pete Matten on 02 May 2013. I normally collect model pumpers. This is my first walk in rescue model I bought recently at a games shop that sell die-cast and model kits as well as various games. And thank you for providing me with the Manufacture name. Added by Adam Bain on 04 May 2013.